What are 7 Spiritual Quality Of Life Activities for Elders in the Coming Holiday Season? Spirituality can matter more as you age. Now that we are entering a season of high spiritual celebrations like Christmas, Hanukkah, Orthodox Christmas, Feast day – Our Lady of Guadalupe- this is the most important season to involve elders in spiritual communities. Religious communities offer socialization thus the quality of life to so many elders and can return joy their lives. Leonie Nowitz, a geriatric care manager who has a deep interest in spirituality and writes about it often, once told me to look at spirituality as a question ” What is this all about”. As we age this question becomes primal, as we face death coming at a rapid pace. We wonder- do I go to heaven, to hell, or just energy or dust. Will I meet angels- my wife in heaven.? Ms. Nowitz said that when you define religion, look at it as a filing cabinet with each drawer is a religion with it’s answer to spirituality ” “What Is t his all About”. There is one for Jews, Protestants, Hindu’s Muslims, Quakers, The Environment- all religions and belief systems. One assessment care managers can do is a Quality of Life assessment to find out where joy can be found again. 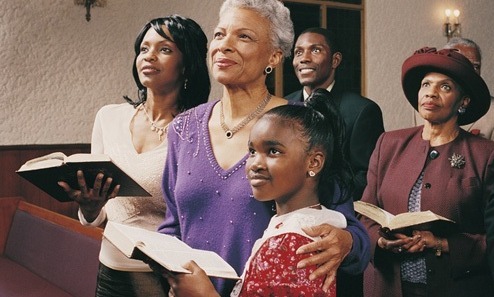 If spirituality is something that would increase an elders quality of life, here are some activities that you may suggest to an older client or their family, especially on holidays when places of worship have their most spectacular music, smells, and bells and pageantry. If an older person appears isolated and is unable to attend their place a worship, especially on holidays, because of not driving or disability, and they wish to still join a congregation, contact the head of the religious group and ask if members could transport him or if they have a van service or arrange for members to transport them to services. If they cannot get out ask if the spiritual leader or congregation members would make home visits. If an older person is not now a part of a religious group but what once was and has some interest in returning, holidays are the best times to reconnect.Contact the head of the religious group and ask him/her to make a home visit and the care manager follow-up with transportation arrangements if yes. If an older person has dementia if possible reconnect him her with his spiritual background through familiar prayer, music etc. If you have a homebound client who wishes to return to a religious group, reconnect them by arranging, in their, spiritual music, religious icons (a rosary or image, for example), readings from a sacred text, watching a service on television, listening to one on the radio or via computer.